Sony showed off a bunch of new games during a presentation at the Gamescom trade show today. The most notable announcement of all was the revelation of the first game from Wild Sheep, a studio co-founded by Michel Ancel, creator of Rayman and Beyond Good And Evil. The project, titled WiLD (childlike mix of capitals and lowercase very much intended), is a game about exploring and surviving in a fantastical landscape that Ancel claims “is the size of Europe, with dynamic weather and seasons, and filled with interactive opportunities that feel endless.” Players will be able to control any living creature in the world—humans, wolves, fish, and “even the giant and dangerous ones,” Ancel wrote on the European PlayStation blog. This also goes for playing online, so you might never know whether that cute little rabbit is actually a rabbit or just some weirdo pretending to be a rabbit. WiLD will be released only on PlayStation 4. 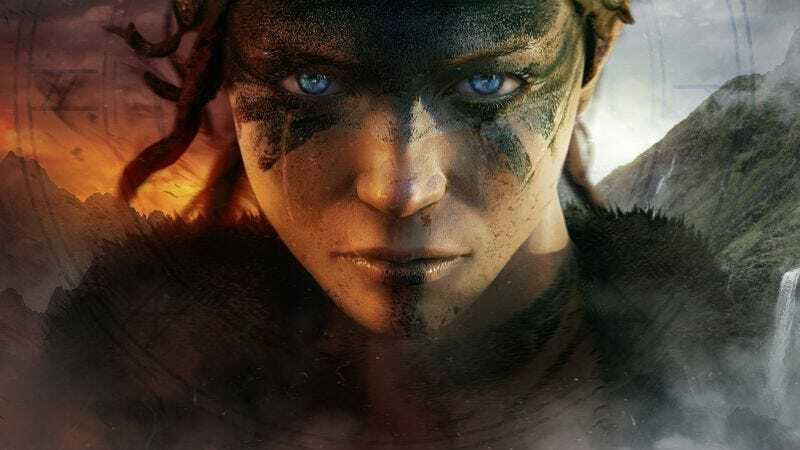 Ninja Theory, the studio responsible for DmC: Devil May Cry and Enslaved: Journey To The West, also announced a new game based on Celtic mythology called Hellblade. (Let’s just go ahead and assume it’s a pseudo-sequel to their debut, Heavenly Sword. That would at least explain where that title came from.) Unlike the studio’s other projects, this is being produced independently without publisher support—a fact Ninja Theory really wants people to know—but is aiming to match the feel and high visual fidelity of the company’s past games. It’s not a PlayStation 4 exclusive but will be hitting that system before other platforms. The Tomorrow Children is a new PlayStation 4 exclusive project from Q-Games, famous for the PixelJunk series. Here’s the bonkers premise: The Soviets screwed up the planet in the ’60s with an experiment that tried to meld the minds of every human being into one consciousness. Many decades later, a society functioning under warped Marxist ideals creates clones (you and every other player) to go out into the decimated world and gather resources to help rebuild and defend against giant monsters called the Izverg. That’s it for the major new game announcements. Sony also debuted some trailers for titles that we’ve seen before. Until Dawn, a game that puts you in control of a group of teenagers who are trying to survive a schlocky slasher flick, reared its head for the first time since 2012. It’s been moved to the PlayStation 4 and is coming out next year. Rime, a pretty and mysterious PlayStation 4 exclusive that debuted at last year’s Gamescom, continues to be pretty and mysterious. Day Z, the popular zombie apocalypse/Lord Of The Flies simulator, will be making its way to PlayStation 4. And finally, Sony offered the first extended look at The Vanishing Of Ethan Carter, which is also coming to PC. Carter puts you in the shoes of an occult detective out to track down a missing child. Its developers pitch it as equal parts pulp detective story and Lovecraftian horror. The Vanishing Of Ethan Carter trailer is embedded below, and you can find all the other trailers Sony showed today on the company’s YouTube channel. Sony also talked about some of the new features that it’s bringing to the PlayStation 4 when it updates the system’s software this fall. The most notable is a service called “Share Play,” which—if you’re a PlayStation Plus subscriber—will let you play games online with your friends even if they don’t own a copy (as long as they, too, are paying for PlayStation Plus). How exactly this works is still hazy. A post on the PlayStation Blog says to think of it as a “virtual couch” where “you’ll be able to play games with a friend just as if you were together in the same room” and gives examples of playing cooperative modes with friends over the Internet that would otherwise only be playable by people on the same console. It will also be possible for a friend to take over your game and play it from their system while you share screens—in case you don’t have an older sibling around to beat it for you.